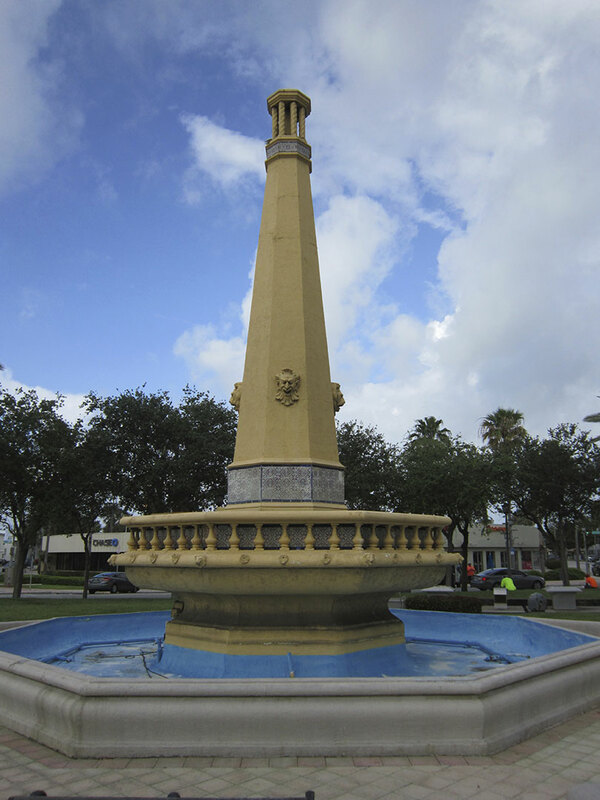 The stone and tile Vendome Fountain has been a centerpiece of northern Miami Beach since 1925. 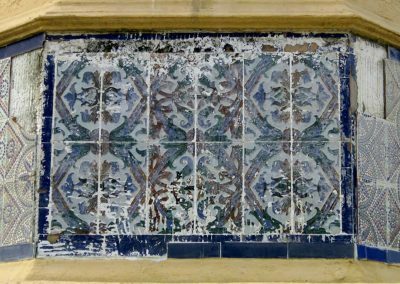 Years of neglect, and numerous repainting and restoration campaigns had left it non-functioning and very altered from its original intent. 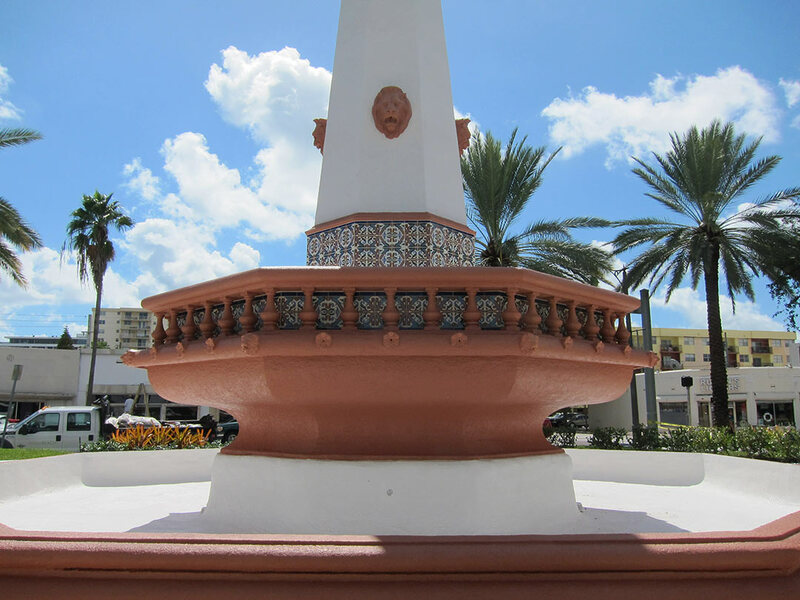 RLA was retained by the City to determine original colors and paint finishes, as well as determine what the original tiles were intended to look like for the restoration of the Normandy Fountain on Normandy Isle in Miami Beach, FL. 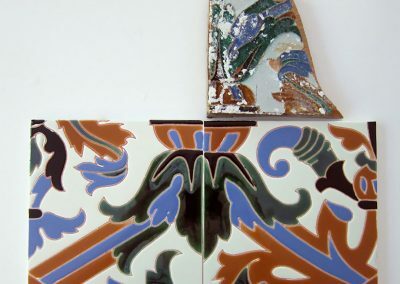 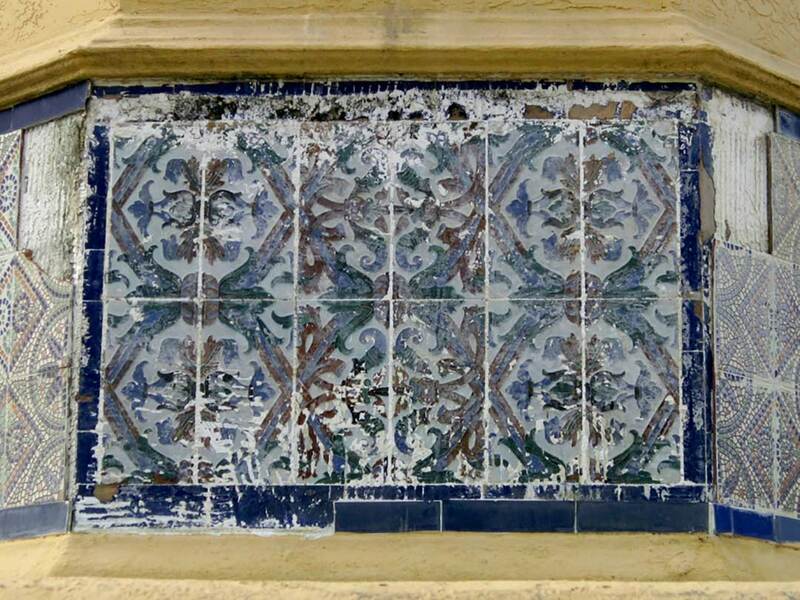 We then began the hands-on work to reveal the original tiles, salvage what was possible and refabricate replicas. 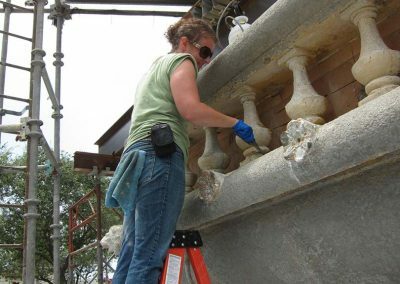 Over-paint was removed to reveal greater detail in cast stone elements, cracks in the concrete were grouted, and areas of decorative loss were reconstructed using conservation grade restoration mortars. 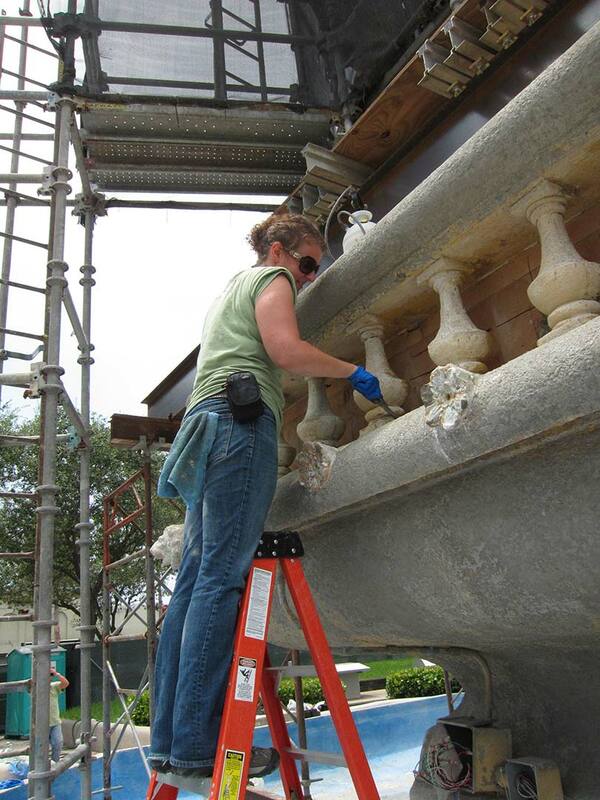 Exposed rebar was treated with a phosphoric acid solution and primed with a zinc rich primer to protect the metal from further corrosion. 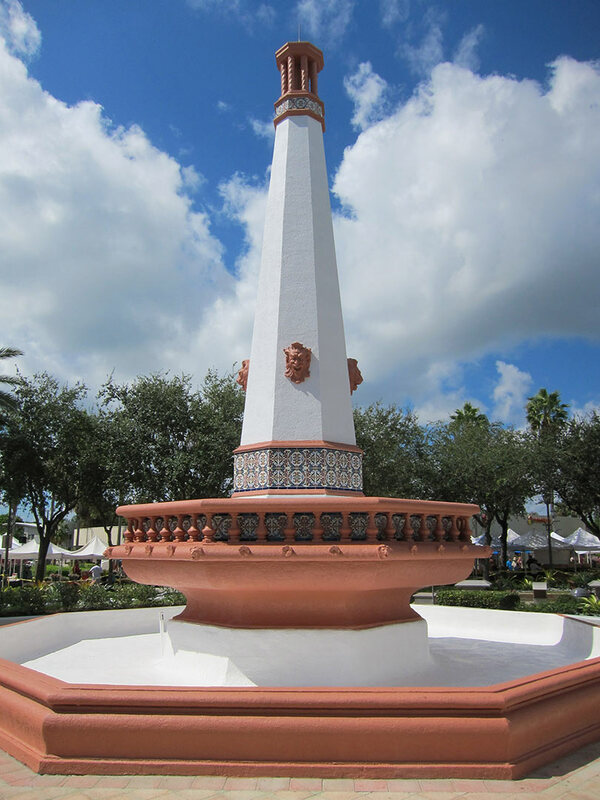 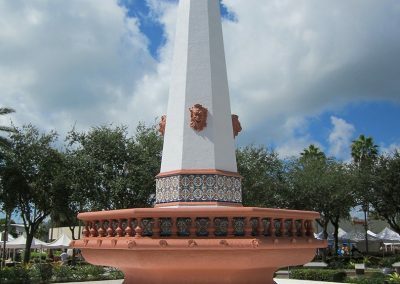 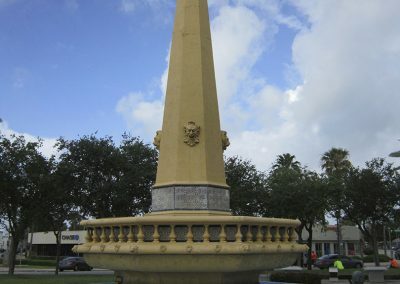 The monument was then primed and painted with conservation grade paints and the replica tiles were installed, and the fountain is fully functional.